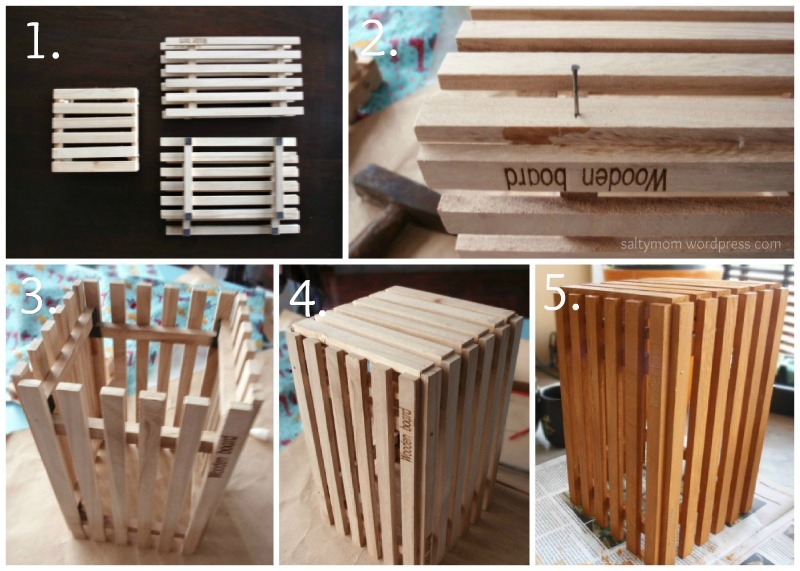 There are Ikea hacks, but is there such a thing as a Daiso hack ? 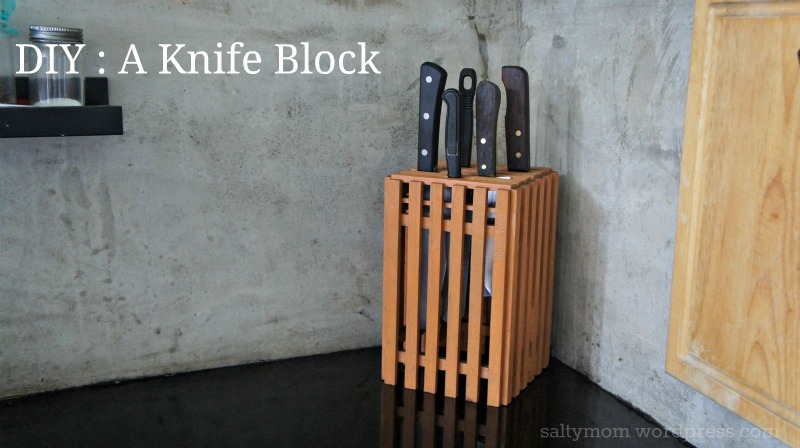 I was shopping for a knife block , all the while being “frugal-minded” (aka cheap). I didn’t like the solid wooden blocks because I have a fear of insects crawling into the slots and ended up being stabbed and their bodies stuck inside. Like yew. While at Daiso, I found out the mini wooden deckings were all of the same width. If I buy 2 packs of rectangular decking plus a square one, I can put them together into a block ( fig. 1 ). Plus it only cost me 180 baht, that’s like 6 US$. Note : You should definitely paint the deckings first before assembling. It was quite difficult painting the insides of the block once it is already in a box shape. ( Fig 3 ) : Glue the rectangular pieces together. ( Fig 2 ) : Then reinforce with nails. ( Fig 4 ) : Nail the top onto the base. Thats amazing! Where did u bought the mini wooden deckings? I really want to make this! hey 🙂 found your idea really nice ! But I am trying to get wooden deckings and I am not able to find them anywhere, As Daiso shop is not present in Texas. Would you please suggest any other way to create this ?